The motorcycle rally was called Thunder by the Bay. As the bikes rolled in, I saw Bob walking by himself, so I stopped and asked for my usual favor. He shrugged and said “Sure, why not.” He is originally from the Gov. Chris Christie state (New Jersey), but has lived 30 miles away, in Englewood for the past nine years. The rally covers both Saturday and Sunday; this was Saturday. Usually Bob only attends on Sunday, but this year he’s trying to sell his Harley so he is attending both days. I would not be able to attend on Sunday. Notice the cross on Bob’s lower left. I would not be able to attend Sunday, but would be otherwise occupied. A Wake / celebration of Life ceremony was scheduled for a friend. 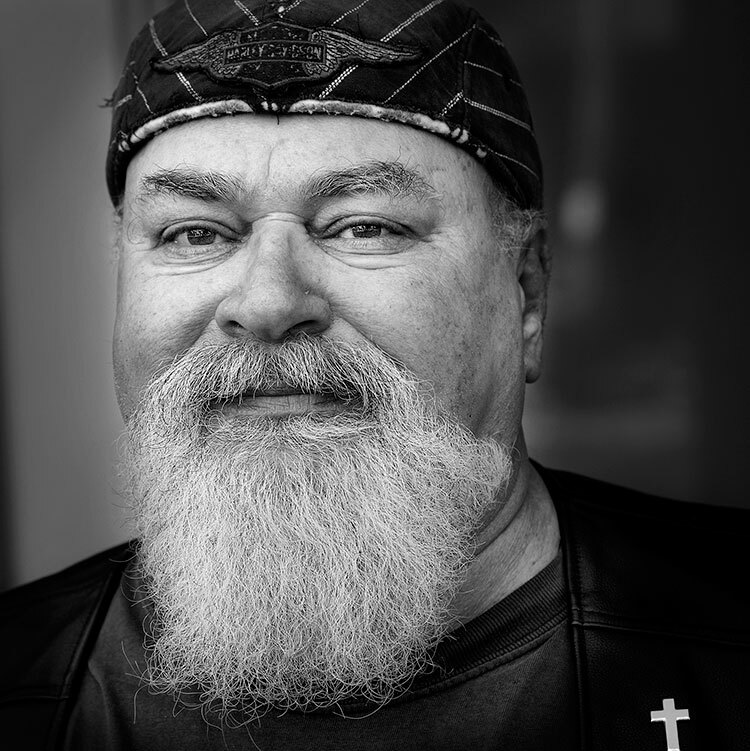 David was a local club manager and civic leader who was killed on his Harley, New Year’s Day. He was cruising on U.S. 41 and a car just pulled out right in front of him; David had no chance. Now that is what I call Thunder by the Bay! What a cruel coincidence.